Amenities: 24-hour doorman service, resident manager, guest parking, heated outdoor pool, fitness center, terrace room with catering kitchen, dog run. About: About	Eastern slope of Russian Hill. 1st San Francisco cooperative homes. Floor-to-ceiling glass windows in every home. 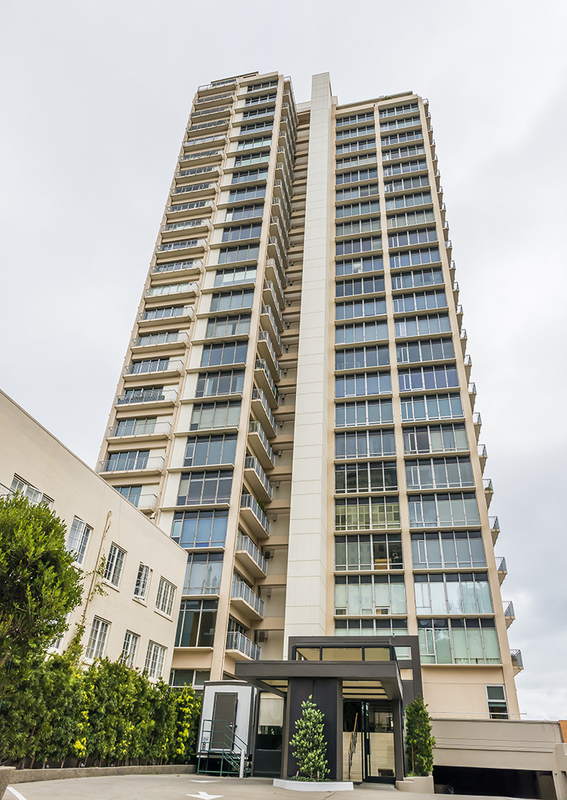 Best unobstructed views including San Francisco Bay and landmarks. Three basic floor plans: 2 bedroom 2 bath | 3 bathroom 3 bath | Imperial units.